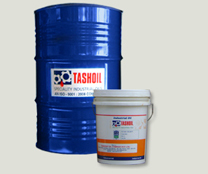 Lubrash X – 3 10w – Industrial Oils :: Tashoil Company Pvt. Ltd.
LUBRASH X – 3 10W oils are heavy duty diesel engine oils. High viscosity index base stocks & contain appropriate dosages of detergent – dispersant and anti-oxidant additives to meet the stated performance standards. LUBRASH X – 3 10W oils are recommended for all classes of supercharged diesel engines of high speed, high output.